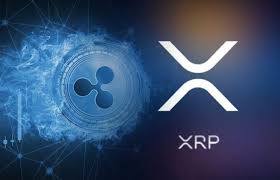 Binance, the world’s largest Crypto exchange platform has introduced XRP as a base Currency in its market pairs. Hence, XRP will be used as a primary Crypto asset in purchases and sales within the Binance ecosystem. All other Digital Assets investors will from now henceforth be able to see the real value of their Cryptos against XRP. The first of the market pairs that Binance is rolling out includes TRX/XRP pair for Tron and XZC/XRP FOR Zcoin pair. Earlier in the year, Binance CEO, Changpeng Zhao was seen to be toying with the idea of launching XRP pairs from his Tweets. Back then, Ripple technology and its native Token were deemed as false Blockchains and Cryptocurrencies especially by hardened Bitcoin and Ethereum fanatics. This group viewed XRP’s centralization feature as a precursor to future deviance from the industry norm of the key principle of decentralization and independent Distributed Ledger Technology fundamentals. Therefore, according to this was an unwanted technology that could water down the progress made in Blockchain development. However, Binance started laying the foundation for future incorporation of XRP in its market pair and the TRX/XRP and XZC/XRP pairs are just the tip of what is about to come. Immediately after Changpeng Zhao hinted at the initiative to launch XRP pairs, the XRP community was in full support of the development. Many members saw this as an opportunity to not only grow XRP adoption but also to offer a wide variety of pairs for investors to select the most optimal investment option. Prior to the CEO’s announcement, some of the users had appealed to him to consider listing XRP base pairs. Although Zhao refrained from interacting directly with Binance users on Twitter, it is clearly evident that the wishes of Binance enthusiasts did not fall on deaf ears and their voices have at last been heard. Coinciding with the news of introducing XRP pairs, Binance also renamed Ethereum markets to ALTS. The explanation given for the change is the lack of space on Binance’s UI. Nonetheless, this is still part of the wider mission of making Binance more effective and central to positive development in the Cryptocurrency space. Interestingly, Changpeng Zhao also disclosed that pairings been undertaken for another reason, rewarding Cryptocurrency platforms whose developers have been contributing to Binance charity programs. Although this is off the records and not provided for in the terms of charity contributions, it is a reward scheme that will not only reward social responsibility but spur the adoption of a huge number of Cryptocurrencies to nurture the nascent industry. XRP recently outperformed Ethereum to be the world’s second largest Cryptocurrency and many experts believe that the Token is on course to replacing Bitcoin at the apex. Prior to Binance listing, it has only been paired in smaller and less influential Cryptocurrencies with very few transaction volumes. Therefore, many investors will join the XRP community to reap from the high chances of XRP liquidity.